When I was doing the Whole 30 silly me thought that I could have tacos in lettuce cups and it would be just as great as regular tacos. What I failed to realize is that my two favorite parts of the taco are the cheese and sour cream. Let’s just say I was less than impressed with the meal. Wanting to keep it on the healthier side, I made these tacos in lettuce cups but didn’t pass on the cheese and sour cream. And to make them even easily to whip up, they’re made in the crock pot! 1. Place chicken in crock pot. 2. Whisk together remaining ingredients in a bowl. Pour over chicken. 4. Use two forks to shred the chicken. 5. 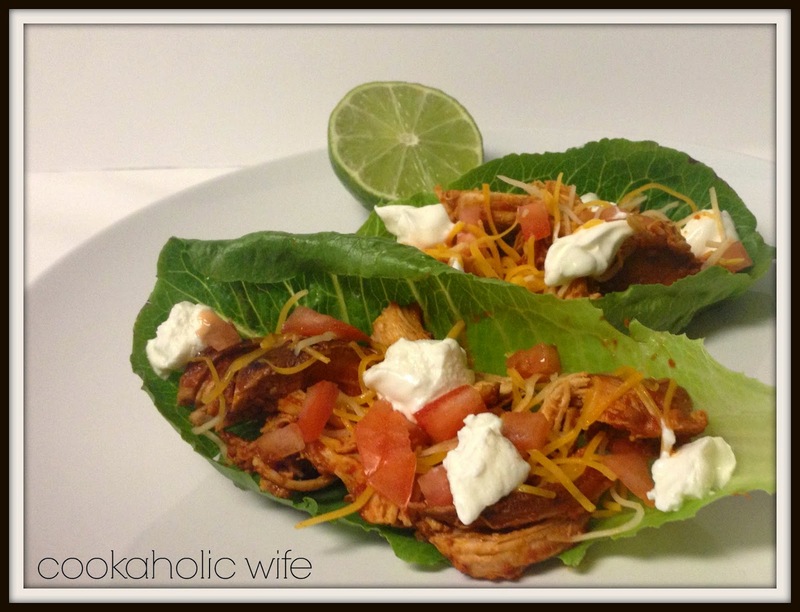 Scoop chicken into romaine leaves, top with diced tomatoes, taco cheese and sour cream. Squeeze lime juice on time. If you’re making this during the week and aren’t going to be around to turn off the crock pot, you could use chicken thighs which will not dry out as quickly as the chicken breasts. Another option would be to to wrap the chicken in foil until cooked, then stir it into the sauce. I made these for Secret Recipe Club today. 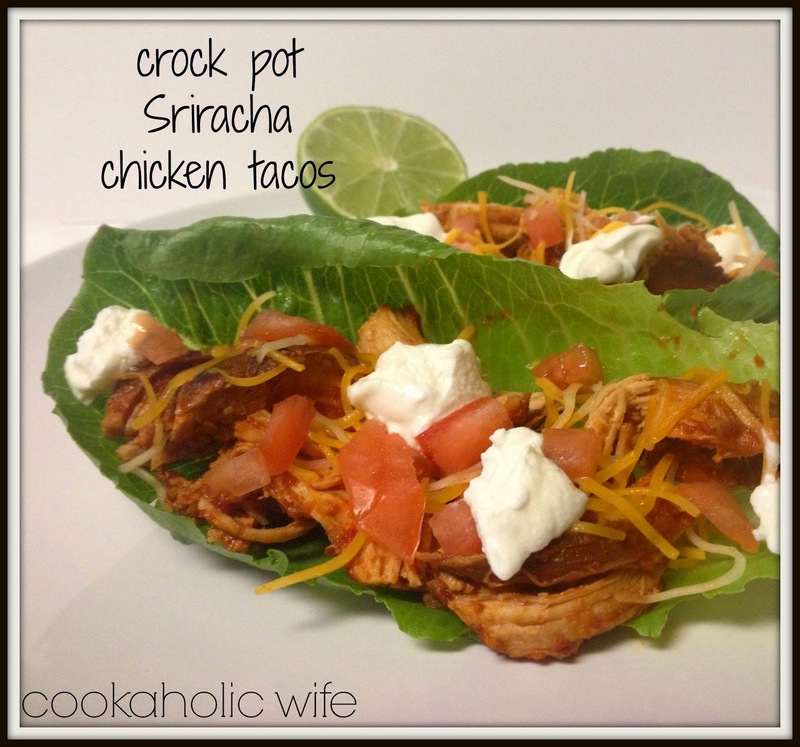 I really enjoyed them and will definitely be making the chicken in my crockpot again.